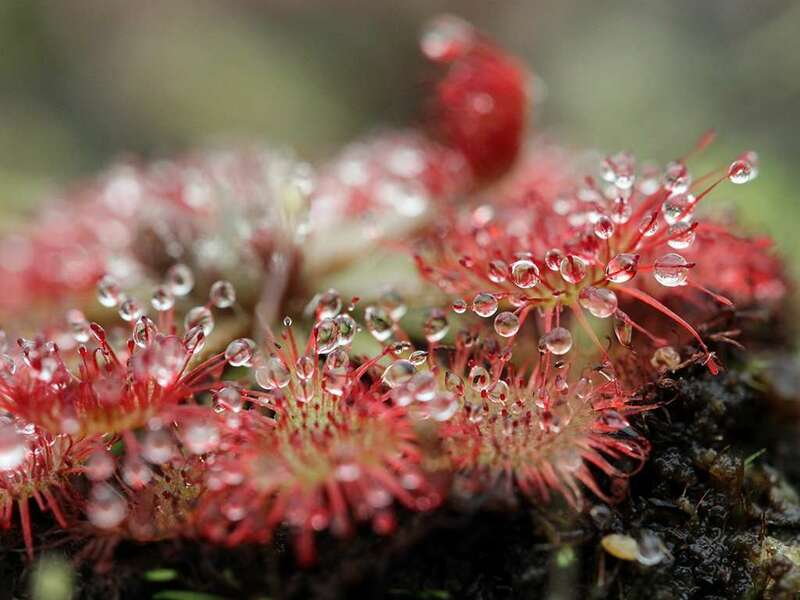 Drosera spatulata is known as the spoon-leaved sundew because of its’ wee spoon-shaped leaves. 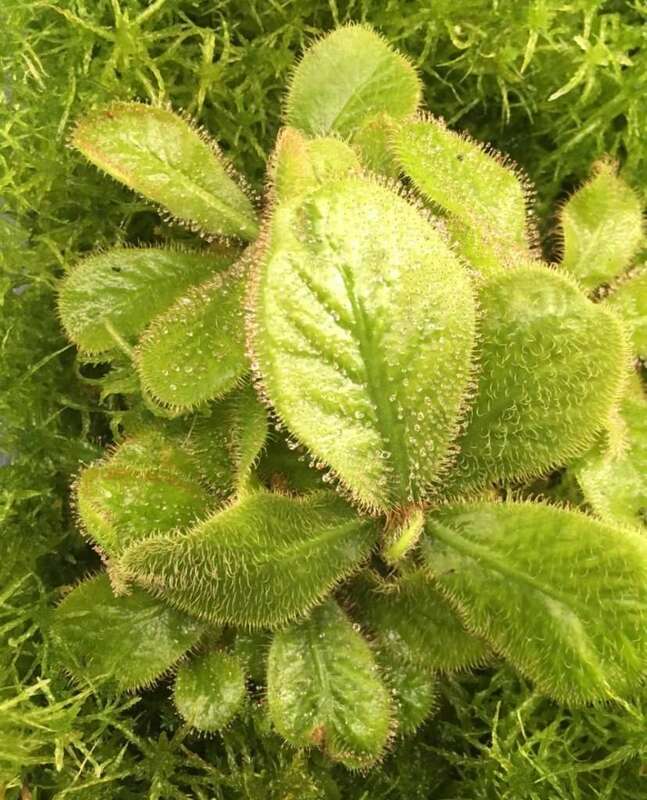 The Latin name literally translates to “spatula shaped.” That said, the species is variable, so leaf shape may be a little different depending on which variety you’re ogling. One may look like teaspoons, another soup spoons… you get the idea. 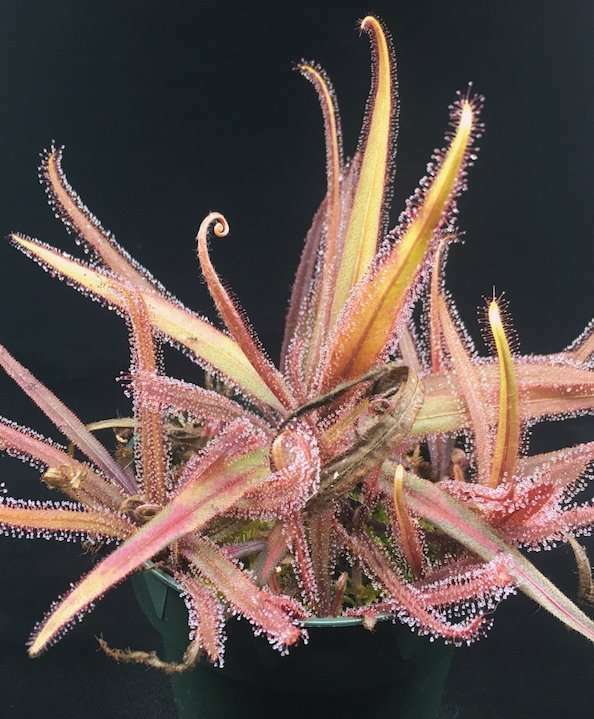 D. spatulata varietals are frequently known by the region of their origin. 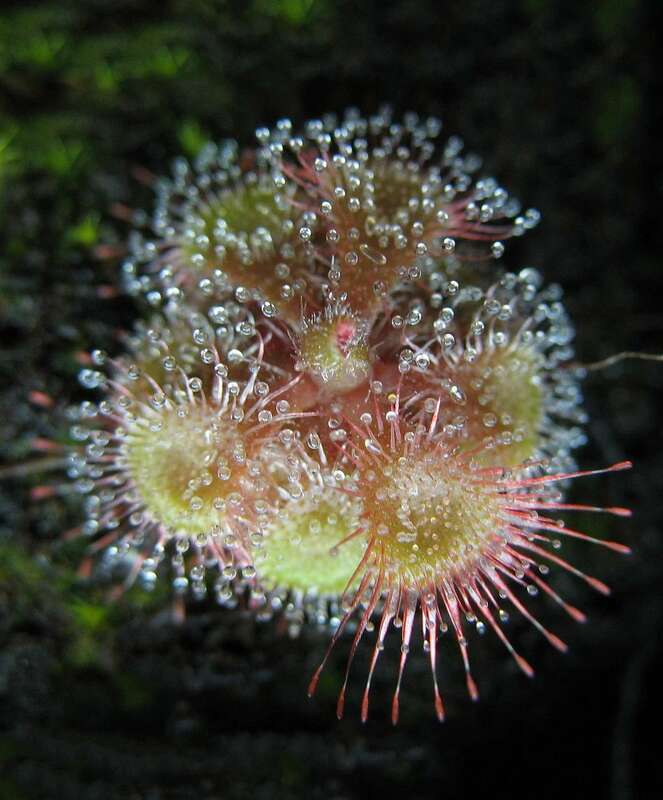 D. spatulata is a successful sundew having spread across a broad range of territories through Southeast Asia in southern Japan and China, New Guinea, Micronesia, and into eastern territories in New Zealand, Tasmania, and Australia. 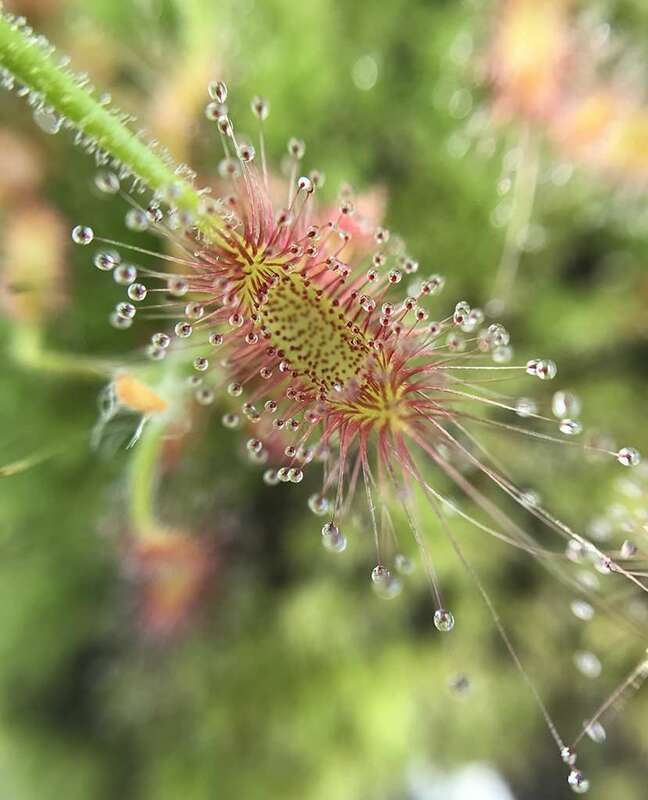 This sundew, like Drosera capensis, is an easy grower and often a “weed” among carnivorous plant collections given the copious seed produced and high rate of germination. I’d call that a good problem to have. 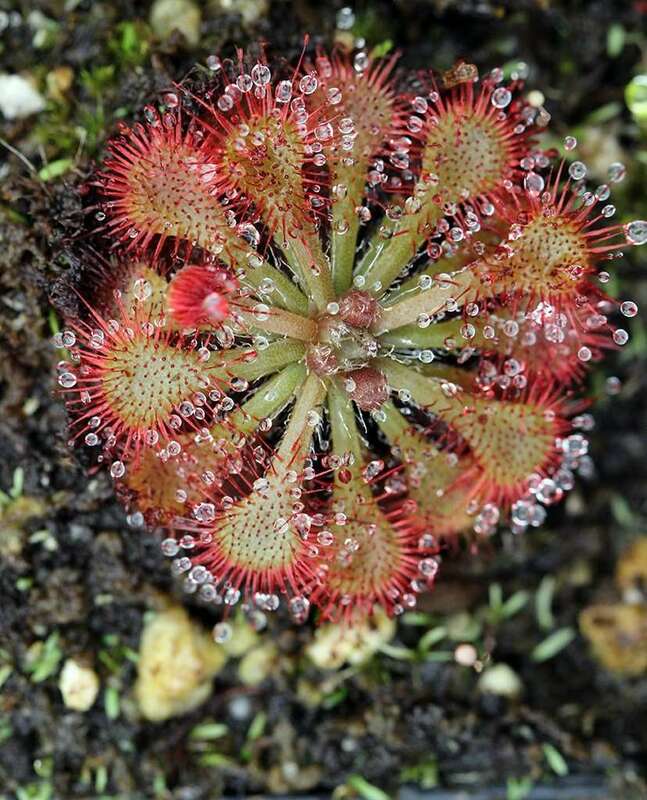 As mentioned, Drosera spatulata is variable, but all varietals produces 1 to 2 inch (2.5-5 cm) rosettes of adorable, carnivorous, spooned leaves. 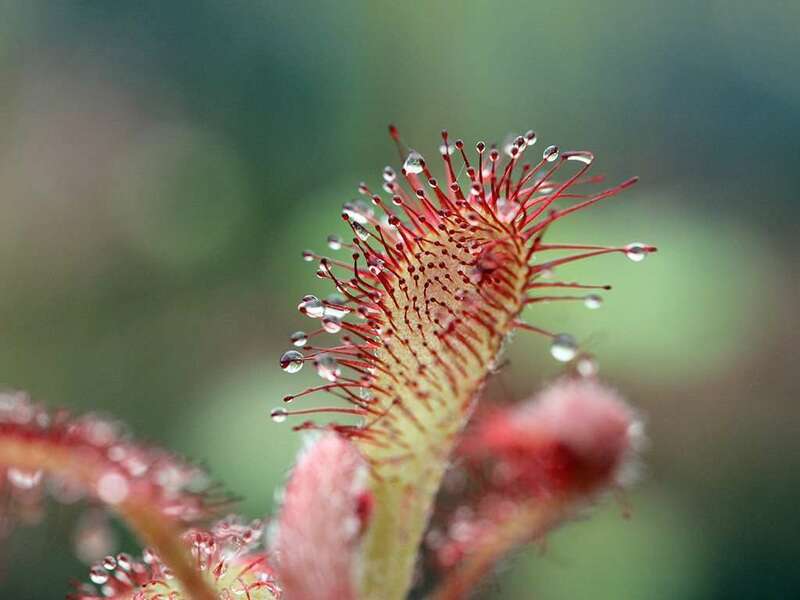 Every carnivorous spoon is adorned with medium-length glands that secret that famous sundew death glue. 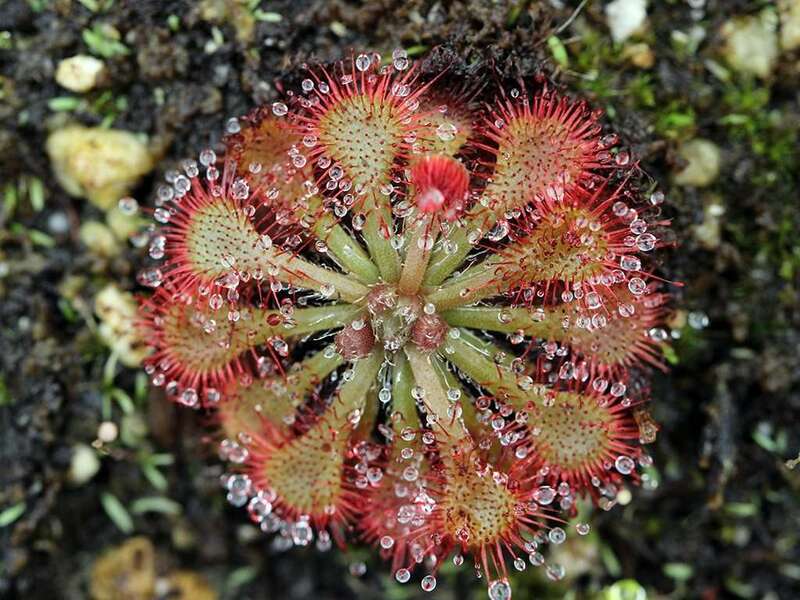 Carnivorous spoons are attached to the center of the rosette via non-carnivorous petioles. 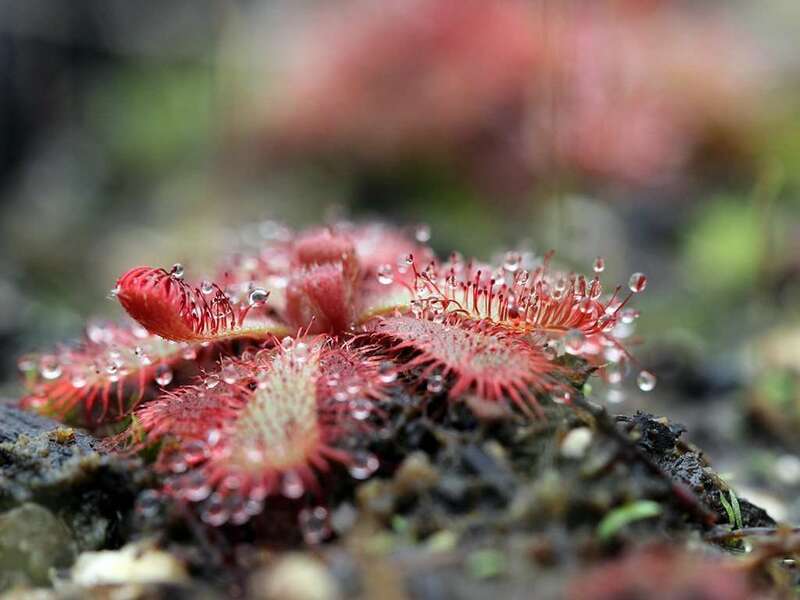 Plant coloration ranges from pale green to deep red, and just about every shade in between. 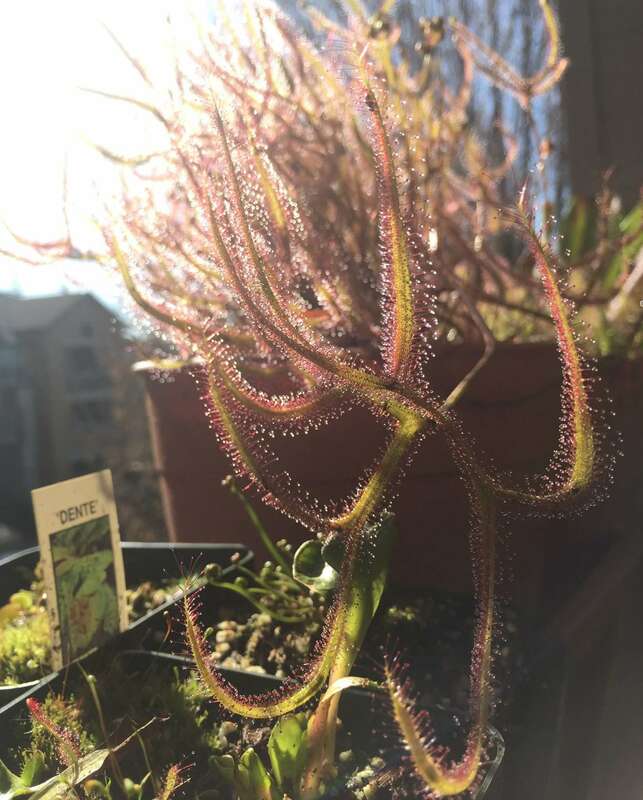 Drosera spatulata produces 3 in (8 cm) tall flowering stalks in early summer with approximately six small flowers of pink or white. 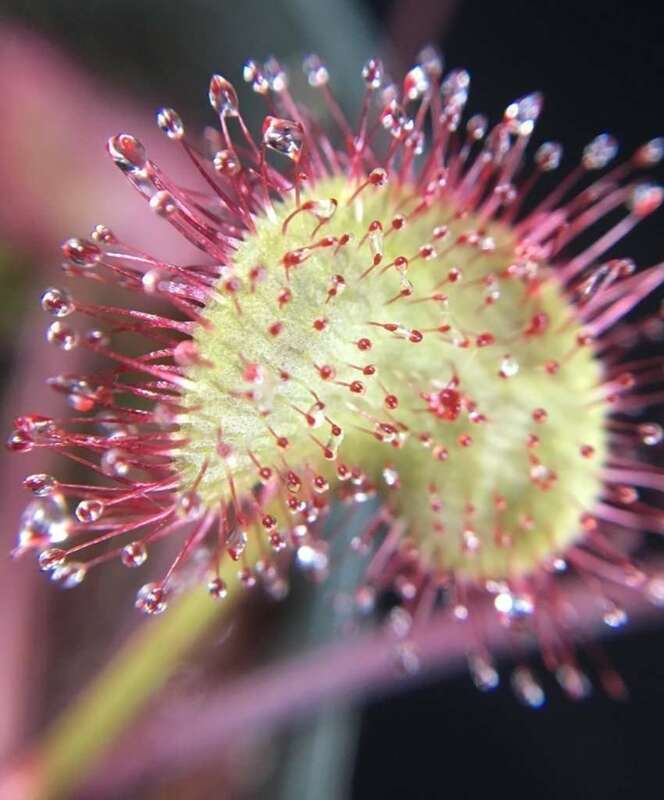 They’re dainty, beautiful, and frequently self-pollinating. 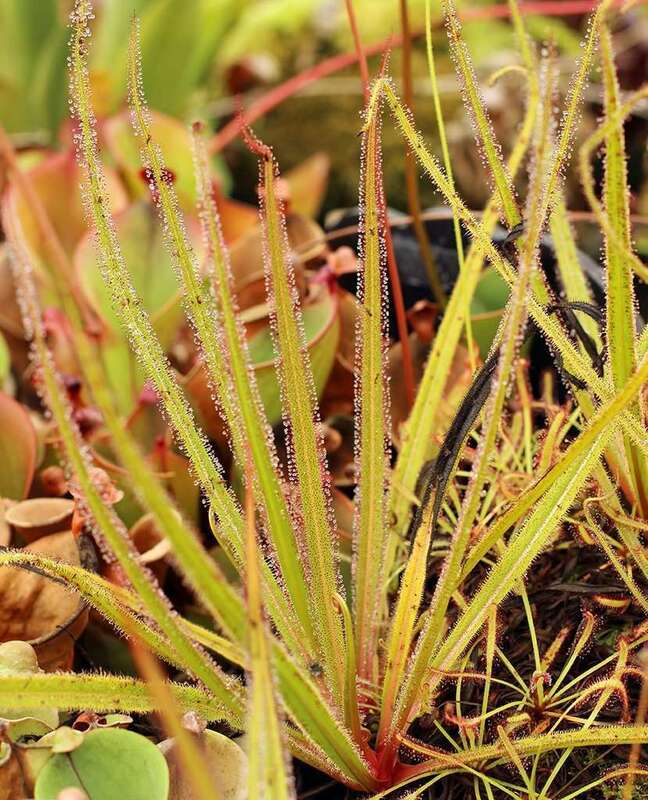 Two official varieties of Drosera spatulata have been described. 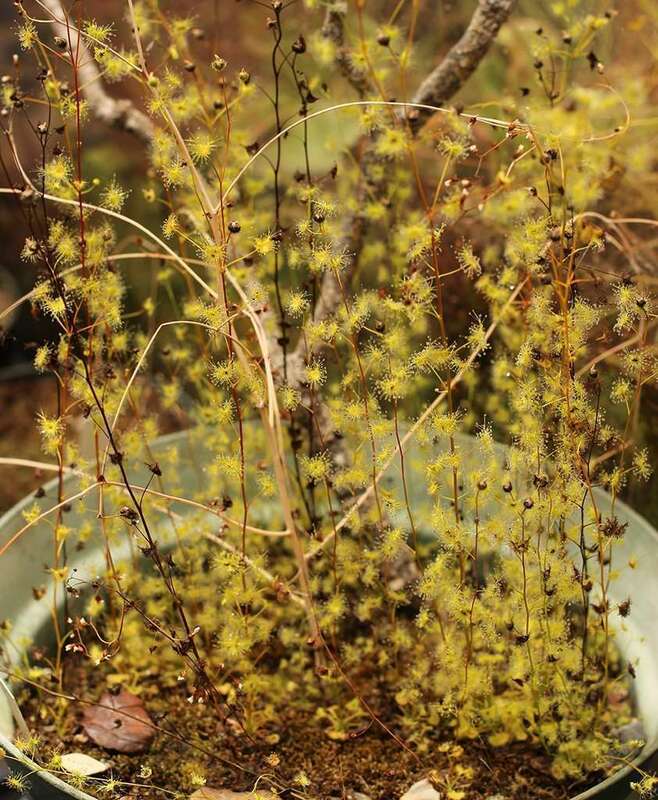 In 2005, Robert Gibson and Ivan Snyder described D. spatulata var. 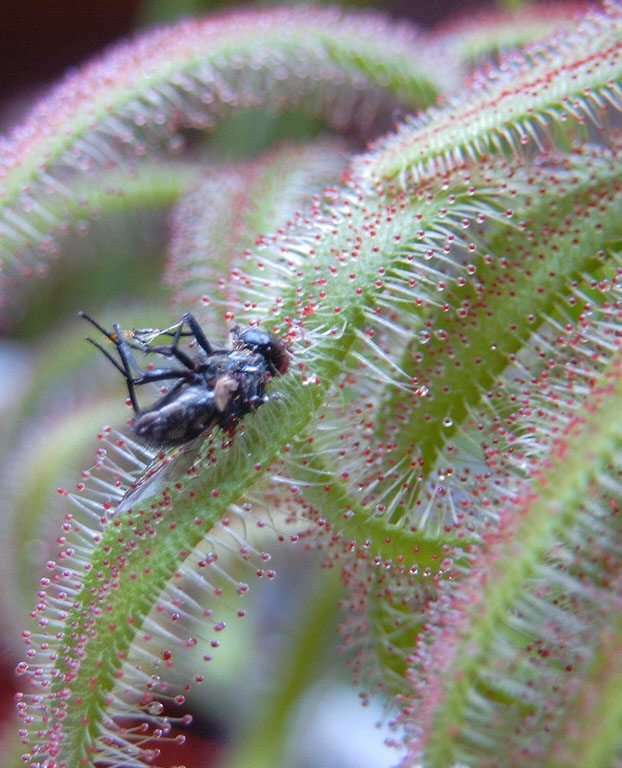 gympiensis who noted this variety’s hairy flower sepals. 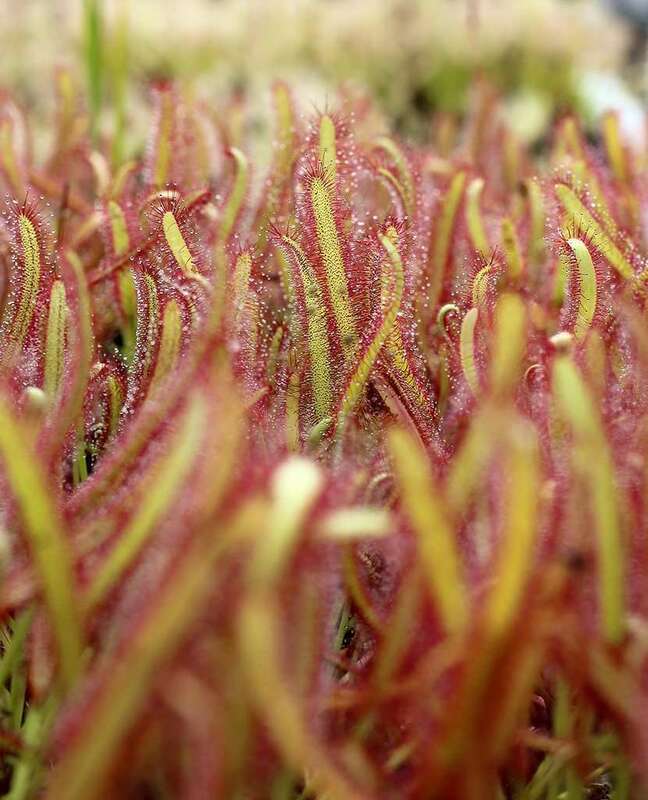 A few years later (2009), Drosera spatulata var. 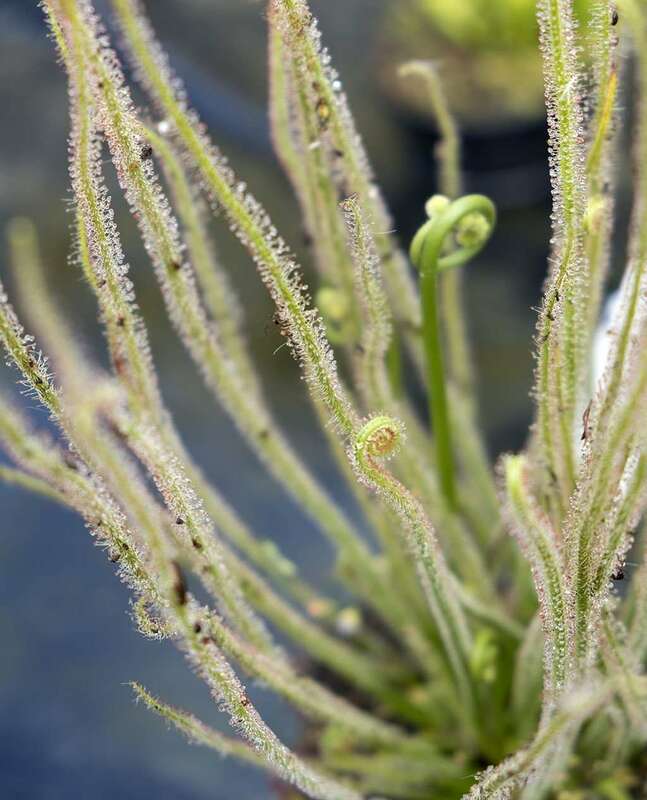 bakoensis, from Bako National Park in Sarawak, Borneo was identified and formally described.